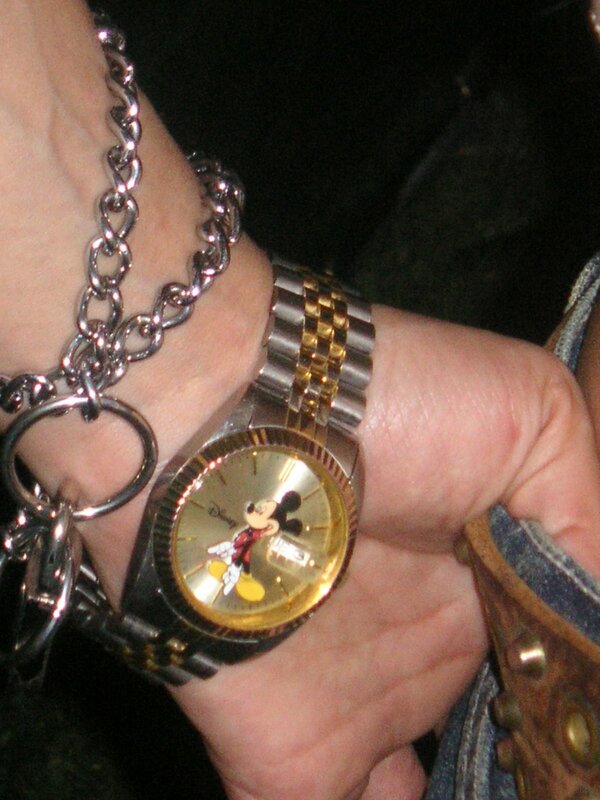 I snapped this shot of a stylish girl at the Coachella Fest, wearing a Mickey Mouse watch. Last year, it was reported that cute and fashionable girls were wearing Mickey tees and sweatshirts. Then I saw that a designer had Mickey Mouse on his mind this year when he showed his collection on the runway during Paris Fashion Week. Some might argue that Mickey never goes out of style; I won’t disagree, but I’d like to make a case for Snoopy. 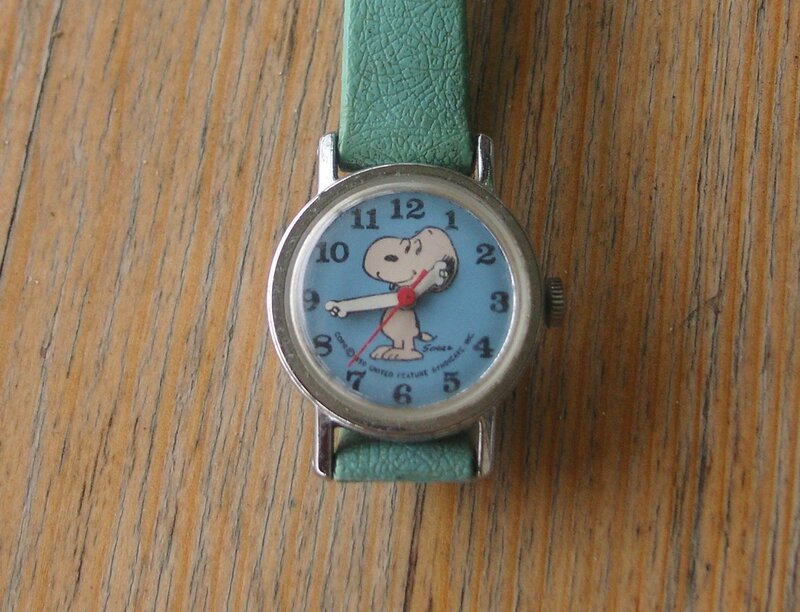 After seeing the Mickey watch, I pulled out my childhood box and found my Snoopy watch. It needs a good cleaning but started ticking when I wound it up. I’m wondering about a new band but might just pair it with some bracelets. I had Winnie the Pooh. neat, when star trek watches become trendy i know where you can find one.